Work with a local Realtor. Central Oregon Real Estate Brokers live work and play right here at "home." Local Realtors are experienced with the market, and know more details about the cities, schools, businesses, and neighborhoods than any other source. Many of us have lived here all our lives; raised families here, grown up here. We pride ourselves on knowing our community, and keeping up to date with the real estate activity taking place here. We always represent your best interests, and help guide you through all aspects of your real estate purchase. We are respected in the community, and have established long term relationships with the other business legs of your purchase. We, as your Realtor, have your back. From local lenders and banks, to title companies, property inspectors, insurance agents, contractors, community services, and so on... we work with all these facets on a daily basis to bring every transaction and agreement together for you. We are involved in our community, our schools, our associations, and regularly give back to the community through our volunteer efforts, and our wallets; both as a company and as individuals. It is true, it is a buyer’s market right now. More options and choices than ever before face the potential real estate buyer. Are prices still going down? When are prices going to bottom out? Now more than ever it makes sense to enlist the services of a Real Estate specialist who can help you make informed decisions. Every day at Alpine Real Estate, we not only study & track the market trends, but we are up to date with new properties for sale, and especially those which are showing price reductions. We tour these properties every day with and without clients, in an effort to keep up with the best buys available at any given time. We know how to structure an offer to properly protect you while the transaction is in progress. We have terrific local sources to inspect, repair, and maintain any property. Being locally grown, we are proud to be connected with great local lenders and industry business people. The best part about hiring a specialist to help you through the maze and decisions of today’s market is that 99% of the time, it cost you nothing. 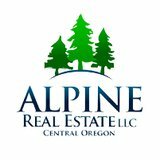 Our buyer services at Alpine Real Estate are free. Typically the buyer’s agent is compensated by the property seller in almost every real estate sale. So how many times have you been able to hire an expert that doesn't cost you anything? So regardless of whether you're just starting to look and don't know when you'll buy or if you need to do something right away, an agent at Alpine Real Estate is ready to help you. In fact, over the years we've helped hundreds of people achieve the "American Dream." We sincerely appreciate your business and will do everything in our power to honor your trust in us.